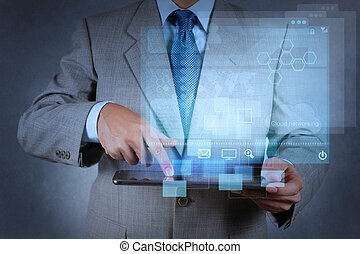 Businessman hand working with modern technology. 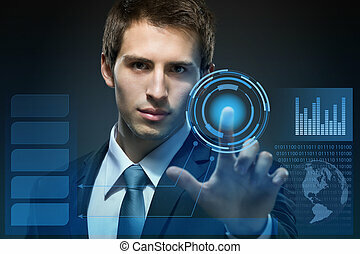 Businessman hand working with all modern technology as concept. 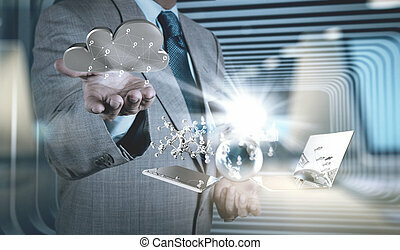 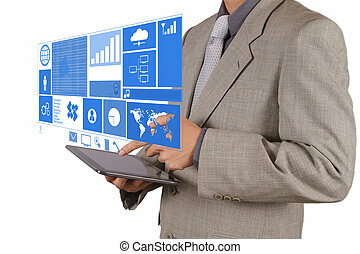 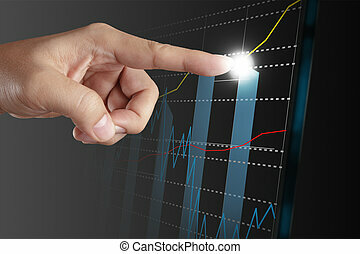 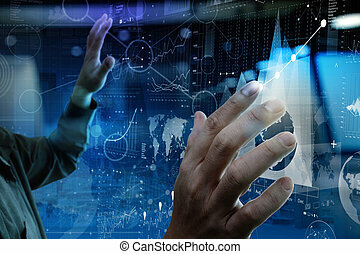 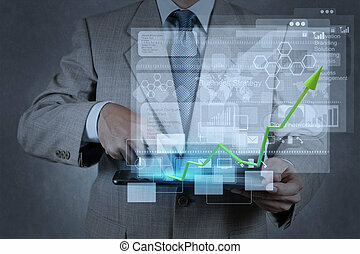 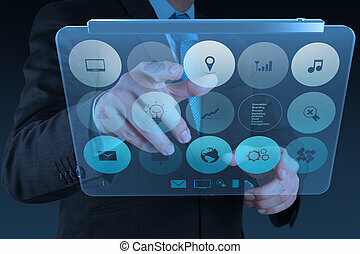 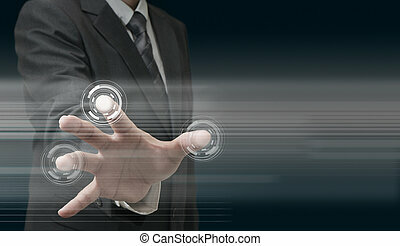 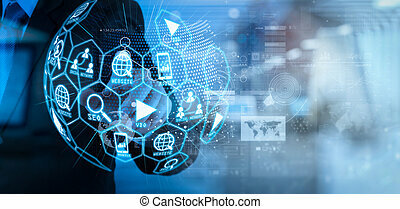 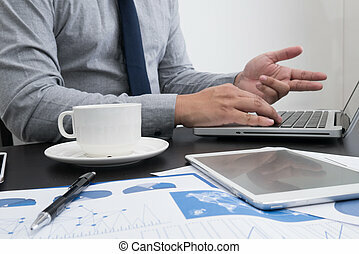 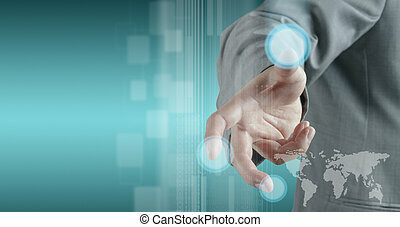 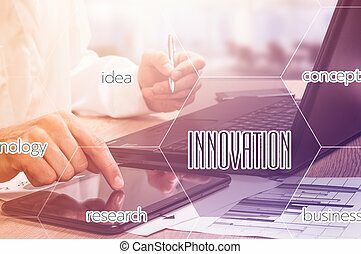 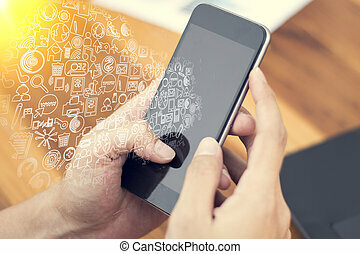 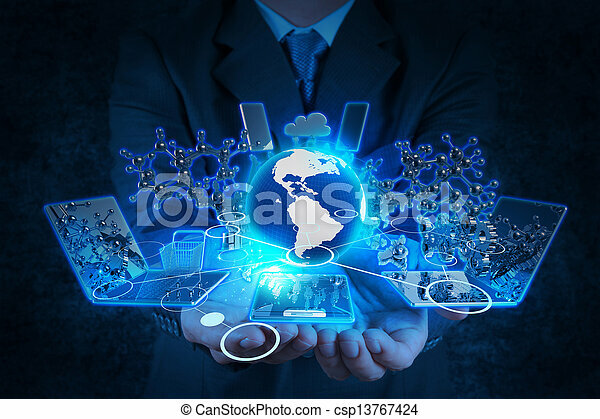 businessman hand working with modern technology and digital layer effect as business strategy concept. 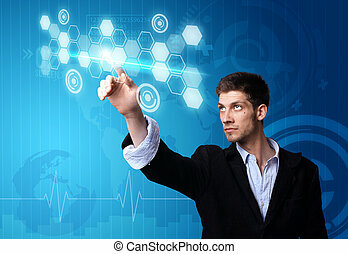 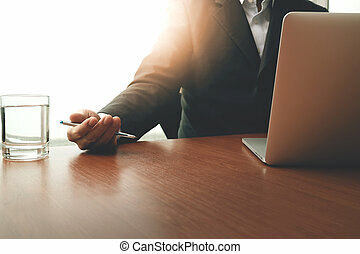 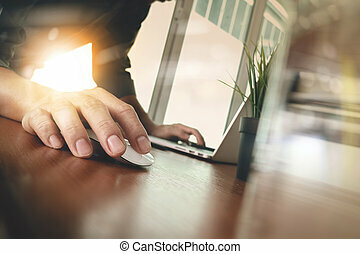 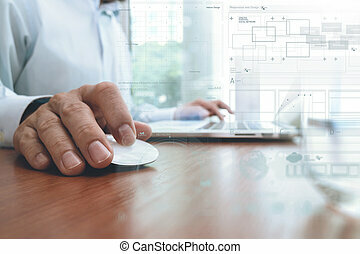 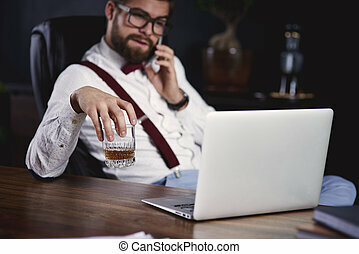 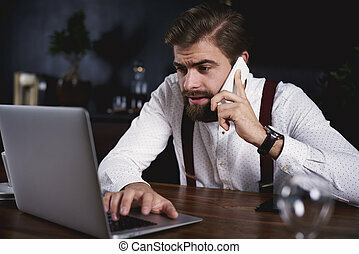 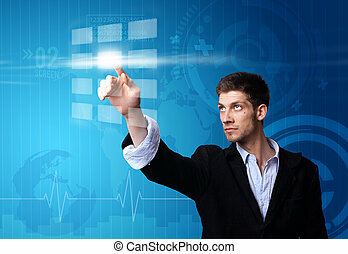 businessman hand working with new modern computer and business technology concept. 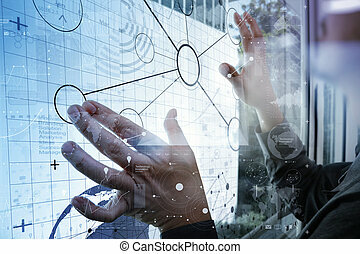 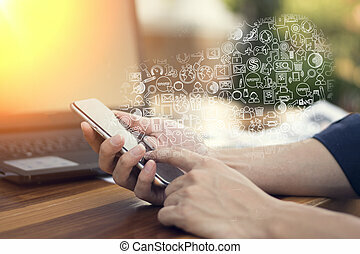 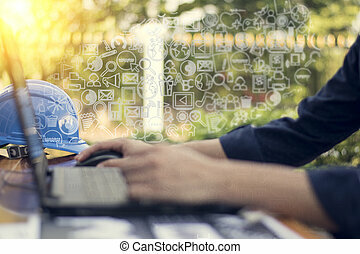 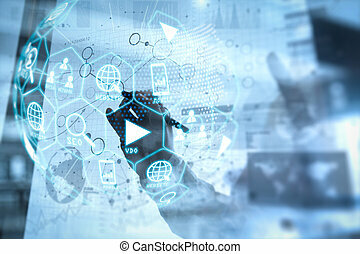 Digital marketing media (website ad, email, social network, SEO, video, mobile app) in virtual globe shape diagram.businessman hand working with modern technology. 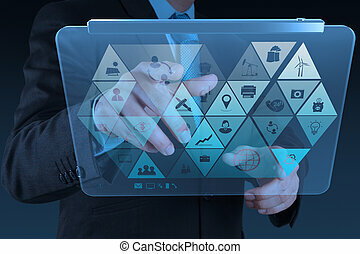 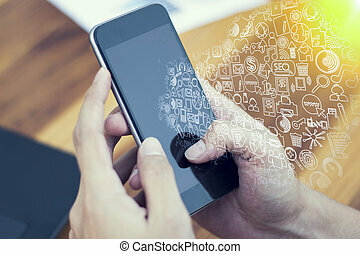 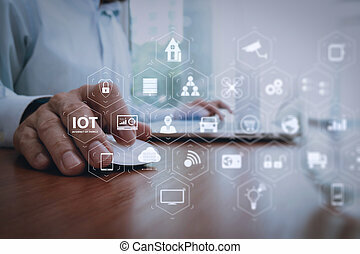 Coding software developer work with augmented reality dashboard computer icons of scrum agile development and code fork and versioning with responsive cybersecurity.businessman hand working with modern technology.